As well as being a lovely place to stay, the Newtown House Hotel is also a fantastic venue for any event; from family parties to corporate conferences. The Function Suite is capable of seating 100 guests for dinner and a maximum of 150 for other events and if any guests require a room to stay in overnight, special rates are available – just let us know. 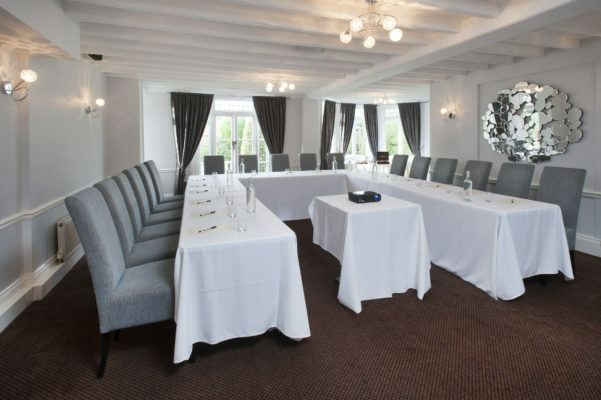 There is a dedicated Events Team at the Newtown House Hotel to specifically assist you with organising and putting on the perfect function for you and your associates. 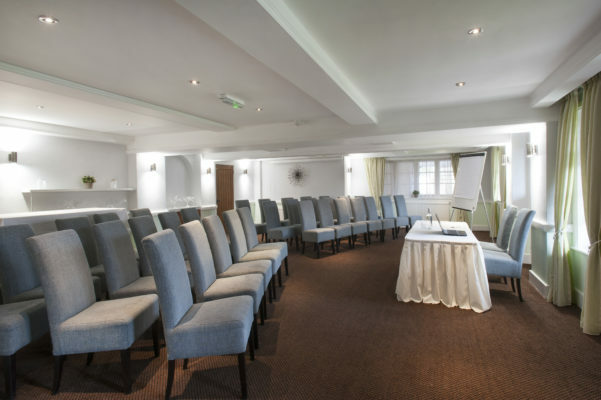 We can cater for up to 100 delegates in the Manor Suite and for smaller meetings there are two further rooms available and all have screens, projector and associated presentation equipment. For a full and comprehensive conference request, please contact us so that we may talk through any requirements and adapt spaces and offer solutions to suit your individual criteria. This option is ideal for any company requiring a venue for a days’ worth of corporate activities including meetings and team-building activities. We will work closely with you to make organising the day as easy as possible and we have fantastic amenities to make any presentation and gathering a success. Sometimes you may have colleagues travelling from great distances to meet in which case, you’d probably like to consider our 24 Hour Package. You will receive everything covered in our 24 Hour Package as well as overnight accommodation and access to our whole hotel – making your trip for business as comfortable as possible. The Manor Suite renowned locally as a popular venue for engagement, birthday, anniversary, weddings, and other celebratory events. There is a delightful mix of rustic beams, fresh smooth coated walls with Fibre optic panels on the ceiling to provide beautiful mood lighting scene for any occasion. In the summer the French doors can be opened to allow access to the expansive decking area and sheltered garden. In addition to the Manor Suite there are two alternative rooms in the main hotel building that can cater for anything from an intimate exclusive diner party up to 45 or 50 seated. A beautiful setting for funeral receptions and wakes. Coming to terms with the loss of a loved one is always difficult, and the added pressure of arranging refreshments for family and friends at short notice can cause extra stress at an already emotional time. Our dedicated team has many years of experience in organising funeral receptions and wakes, offering a discreet and sympathetic service to help relieve you of some of the strain. 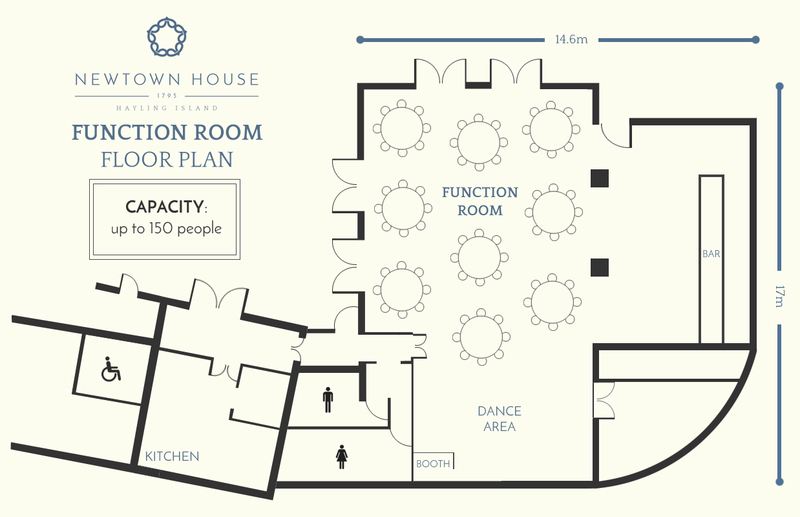 The Newtown House has three private rooms to accommodate your specific requirements and can cater for a simple intimate buffet to a full wake all handled by our discreet and experienced staff. For more information, menu options and availability please get in touch. If you require something smaller yet still comfortable, we have our specially furnished meeting rooms available.